The first A350 XWB for TAM Airlines rolled out of the Airbus paint shop in Toulouse, revealing the aircraft in its signature red, white and blue livery. The aircraft will continue through the next stages of production, including the installation of engines, completion of cabin furnishing and cockpit fitting, before starting ground and flight tests. 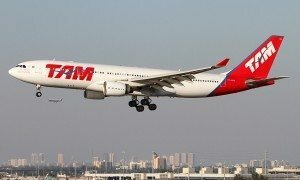 The aircraft is scheduled for delivery to TAM Airlines in December. TAM will become the first airline from the Americas to fly the A350 XWB and the fourth operator in the world. 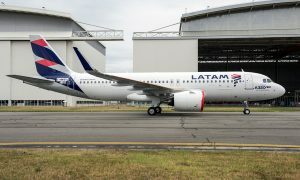 LATAM Airlines Group, made up of LAN Airlines and TAM Airlines, has ordered 27 A350-900. The carrier will start operating the A350 XWB in January 2016 between Sao Paulo and Manaus, followed by international operations between Sao Paulo and Miami, and Sao Paulo and Madrid.